Working with the client’s contract designer, we provided a WordPress site with customized global menus, mega-menus, a blog, press release features, and an integrated event calendar service for this unique high school. We also assisted the staff with editorial training and fulfillment of Section 508 Accessibility Compliance. 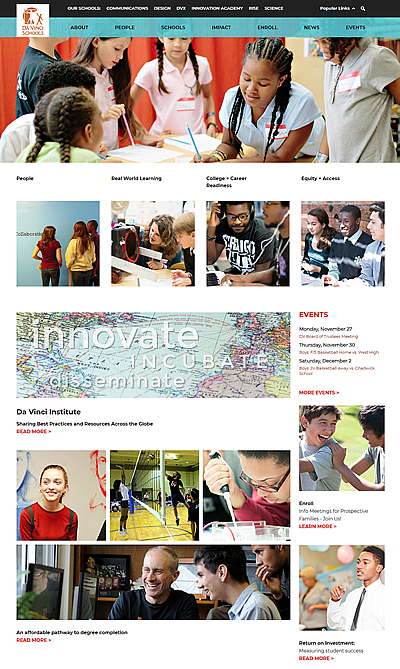 Explore the worlds of davincischools.org.